When the body of a young mother is found washed up on the banks of the Mataura River, a small rural community is rocked by her tragic suicide. But all is not what it seems. Sam Shephard, sole-charge police constable in Mataura, soon discovers the death was no suicide and has to face the realisation that there is a killer in town. To complicate the situation, the murdered woman was the wife of her former lover. When Sam finds herself on the list of suspects and suspended from duty, she must cast said her personal feelings and take matters into her own hands. To find the murderer... and clear her name. 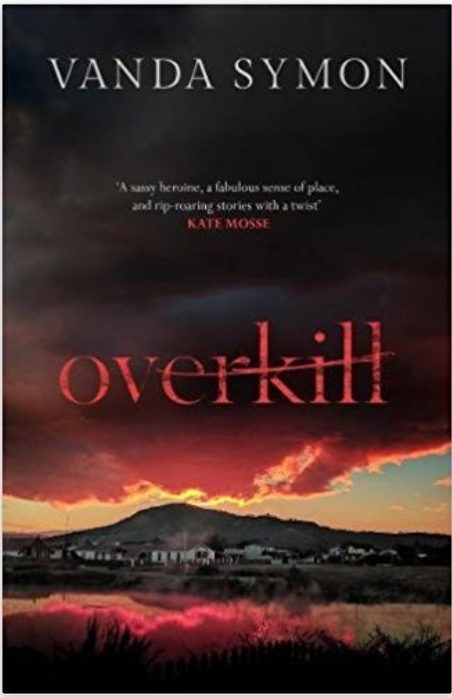 A taut, atmospheric and pageturning thriller, Overkill marks the start of an unputdownable and unforgettable series from one of New Zealand s finest crime writers. 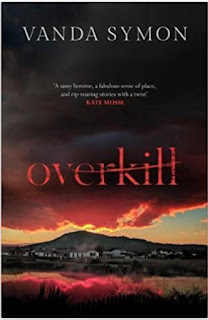 I predict that Overkill is another winning book for publisher Orenda. I loved this crime thriller from the moment I started reading the chilling prologue, through every spellbinding chapter and right through to the shocking ending. Set in a small town in New Zealand, this book features police constable Sam Shepherd, a feisty, risk-taking protagonist with a wicked sense of humour (prompting actual laughs as I read). When Sam investigates the suicide of a young mother, Gaby, she soon realises this was, in fact, murder, which means there's a killer on the loose. To complicate matters, Gaby happened to be married to Sam's former lover. When her bosses discover the link, Sam's not only taken off the case, but treated as a suspect. Though nothing will stop Sam from conducting her own investigation on the quiet, to discover the truth about what happened to Gaby in her final moments. Sam wears her heart on her sleeve, and her friendship (and conversations) with flatmate Maggie really brought her to life. I loved being inside her head. She's tough but also vulnerable and possibly a little naive. She felt like more than just a character in a book - someone very real - and I found myself warming to her immediately. Overkill features short, snappy chapters, which move the plot forwards at a fast pace, with great literary writing. Tension and emotion spill out of every page, and I found myself whizzing through from beginning to end. I genuinely couldn't stop reading, addicted not only to the gripping twisty plot but also to its great sense of place and range of believable characters - a perfect combination. I don't rave about many books, but this one prompted a few raving tweets and is certainly one that I'll be recommending widely. The Sam Shepherd series isn't new - the books have been around for a decade in New Zealand but have slipped under the radar, until now. This is the first to be published by Orenda Books, and it has been 'lovingly and beautifully rewritten'. Now I'm desperately waiting for the next one! And I can't wait for other people to discover Overkill's brilliance too.